WASHINGTON — Members of Congress said they were deeply concerned following reports that the U.S. is planning to abandon a covert operation to train and equip Syria moderate rebels. The program, run by the Central Intelligence Agency, is separate from the one run by the Department of Defense. The move to end the program was first reported by The Washington Post. Pentagon officials referred questions about that program’s potential termination to the White House. 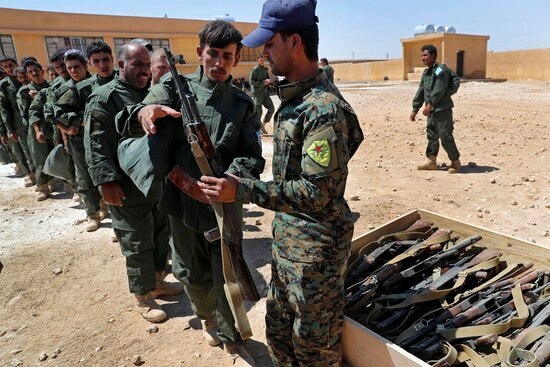 The Defense Department’s program, which had a shaky start in 2015 after almost all of the original trainees fled, has now trained thousands of Kurdish and Arab Syrian rebels to fight the Islamic State group. Those forces have been getting additional training and assistance at various U.S. bases throughout Syria in preparation for the fight to retake Raqqa. The Pentagon requested $500 million in the 2018 defense budget to continue the program. However, that program also faces significant challenges. 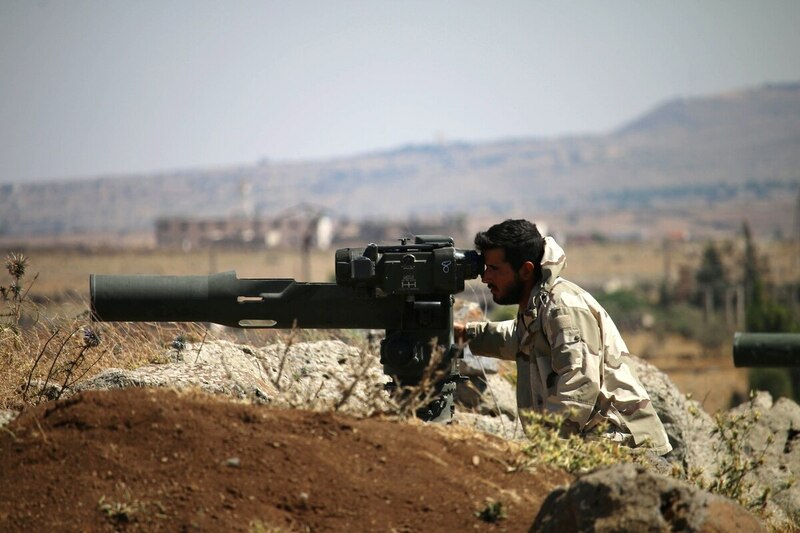 NATO ally Turkey opposes arming many of the Syrian rebel forces the U.S. has partnered with and earlier this year conducted airstrikes in northern Syria that killed several U.S.-partnered forces. In addition, Russia and the besieged government of Syrian president Bashar Assad have also targeted Syrian Kurds and Arabs trained by the U.S. 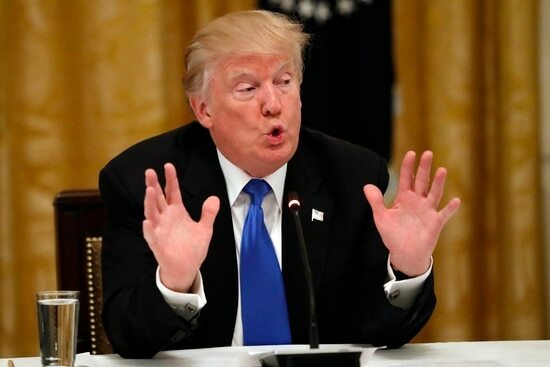 The U.S. has conducted airstrikes to protect the trained forces, downing a Syrian jet, two pro-regime drones and destroying pro-regime fighting positions that were attacking the trained fighters. Still, the CIA’s program was seen as an integral part of securing a future for Syria that did not include Assad, whose regime has killed hundreds of thousands of its own civilian during its civil war, which began in 2011. Reports of the covert program’s demise were met with swift criticism on Capitol Hill. “If these reports are true, the administration is playing right into the hands of Vladimir Putin,” said Senate Armed Services Committee chairman Sen. John McCain, R-Ariz.
“Making any concession to Russia, absent a broader strategy for Syria, is irresponsible and short-sighted,” McCain said. Mattis briefed members of the Senate on Wednesday and members of the House of Representatives on Thursday on the overall ISIS strategy, including the train-and-equip program. McCain, who was in Arizona and who announced on Wednesday that he had a brain tumor, said that it would be premature to cut the program since the administration has not yet provided its full strategy for defeating the Islamic State. Rep. Brad Sherman, D-Calif., attended the Thursday ISIS briefing by Mattis and said he had a chance to ask if the Pentagon was ending the program. Mattis told reporters he would “prefer” not to discuss the issue. Pentagon spokesman Navy Capt. Jeff Davis said the DOD program continues. “We continue to support the [Syrian Democratic Forces] and other vetted Syrian groups that fight ISIS,” Davis said.